Women have less of it to begin with. It doesn’t store in the body’s fat cells, like estrogen does. In the United States, the average age for menopause is 52, but this simply refers to the state when the ovaries fully retire and a women’s periods finally end. All systems are down and permanently out of business. By the year 2025, it’s expected that 1.1 billion women worldwide (yes, that’s billion with a “B”) will be in menopause. However, women enter a state of perimenopause, meaning “around menopause,” 10 to 15 years before actual menopause, and that’s where the trouble starts. Women in perimenopause will experience three stages of hormone deficiency: testosterone deficiency and estrogen deficiency (perimenopause), and then, menopause. Keep in mind that if you talk to doctors or look this up in a medical textbook, the actual terminology is much more complicated. For the sake of simplicity, here is a breakdown of the main symptoms and differences among the stages. The hallmarks of testosterone deficiency include low libido, weight gain, low libido, anxiety, low libido, depression, and did I mention low libido? Woman may also experience mood swings, memory loss, sugar cravings and a “beer belly” appearance from the weight gain. Their shapely curves take a turn in the wrong direction. Instead of carrying our weight in the thighs, it moves to the belly. This usually starts in the mid- to late-30s, but certain medications, illnesses and genetics can cause it to begin sooner. During the early stage of estrogen deficiency, many women will experience hot flashes and insomnia right before and during their period. Premenstrual syndrome (PMS) gets worse, and many women may have migraines for the first time in their lives. The mid stage of estrogen deficiency sees the onset of hot flashes during random times throughout month (not just during periods), worsening PMS, insomnia, forgetfulness and night sweats. The late stage is usually marked by irregularity in menstrual cycles, and worsening symptoms overall. Women might go several months without getting a period, but then suddenly their periods are back with a vengeance, often becoming heavier and lasting longer. Worse yet, the periods may become more frequent and have all of the delightful hallmarks outlined in the previous sentence. 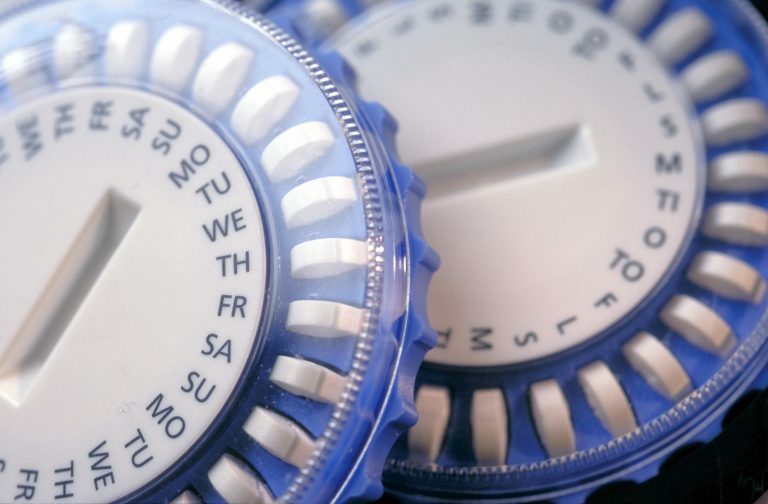 Women also need progesterone to prepare your body for pregnancy and to help them have regular periods. Progesterone is the controlling hormone that causes worsening PMS symptoms, and this hormone is produced after ovulation by the follicle remnants. However, if the ovaries don’t make enough estrogen – which happens when the ovaries slow down – women won’t have enough progesterone, either. This leads to an estrogen dominant state, meaning the estrogen level is higher than the progesterone level. Woman won’t ovulate due to the low estrogen, and periods become irregular. This usually begins in the early to mid-40s, but again, certain factors can trigger it to start earlier. In a female’s lifetime, they only have a certain number of eggs in the ovaries, and when they’re gone, they’re gone. The age of menopause can vary, but determining when a woman’s mother went through menopause can be helpful, as the timeline tends to run in families. When a woman hasn’t had a period for more than 12 months, they are in menopause. They will likely still be experiencing some of the unpleasant symptoms like hot flashes, insomnia and forgetfulness, along with a few new ones, but the bleeding will stop. While there are blood tests (follicle stimulating hormone, or FSH, and anti-Mllerian hormone levels) we can use to verify it, that’s the main marker. The other big hormone in play is the thyroid. The thyroid is a small, bow tie-shaped organ located at the front and middle of the neck that secretes the thyroid hormone thyroxine, or T4. It converts to the active thyroid hormone triiodothyronine, or T3, at the direction of the brain. 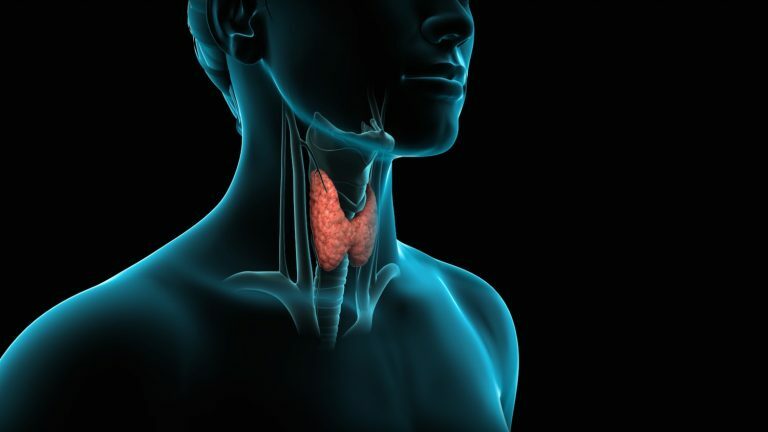 These thyroid hormones fuel and control the bodies metabolism overall. Imagine the thyroid as the engine of the body. Ideally, we want to be in a BMW, Lexus or Mercedes, not in a Formula One car or a go-kart. A Formula One thyroid is hyperthyroid, and is burning fuel too fast. Everything in the body is on overdrive. This leads to weight loss, hair loss, diarrhea, high temperatures and excessive sweating. A go-kart thyroid, or hypothyroid, is too slow. This causes weight gain, dry skin, constipation, hair loss, low body temperature, slow heart rate, extreme fatigue and swelling or numbness of hands and/or feet. The BMW/Lexus/Mercedes thyroid, like a finely tuned machine, is running just right. Women with normal thyroid function have appropriate energy levels and feel good, assuming they have no other health issues. Their bodies are firing on all cylinders. But here’s the kicker: by the age of 50, one in three women will have a thyroid disorder; most commonly, they’ll be hypothyroid. It can be caused from the aging process, autoimmune disorder, environmental factors or a combination. Some of you are probably thinking, “Wait. Isn’t menopause just a natural state of aging that all women go through? Why fight it?” My answer is this: Yes, it’s natural and if we live long enough, we’ll all go through it. But think about it this way: Not all that long ago in the scheme of history, fewer women lived to see menopause because so many didn’t survive their vulnerable childbearing years. Men who didn’t die fighting some war or another would soldier on, often remarrying and fathering children well into their old age. Women died before, during and after childbirth due to complications and infections. They died from sexual violence, misinformation, misogyny and political or religion-fueled madness. Women and young girls were accused of witchcraft, and then drowned or burned at the stake. However, karma has a way of coming around. While hormone imbalances can occur at almost any age, today most women can expect to live anywhere from one third to one half of their lives in menopause; so of course we want these years to be healthy, happy and fulfilled. HRT can help us achieve it, so why is it so hard to get? Unfortunately, when it comes to women and their health and reproductive issues, misinformation and misogyny continue to be dominant forces, along with political or religion-fueled madness. And money. It’s well past the time that we start taking control of the conversation and of our own health, or women will continue to be dismissed.